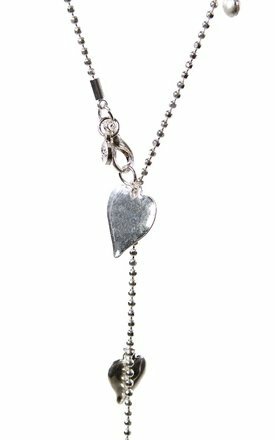 Long silver lariat style necklace with heart charms and crystals. 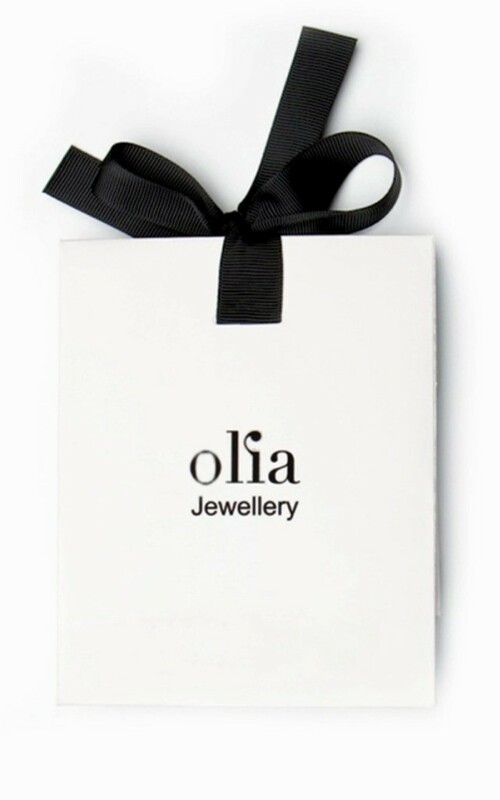 Olia branded tag and gift bag. Made from lead and nickel free mixed metal. Shown here with our Lola hamsa necklace in silver. Total length of necklace 107cm.